Fitdigits now offers the ability to create health and fitness goals over a variety of metrics. Whether you want to lose 25 pounds in the course of a year or be able to walk 1,000 extra steps each week, Fitdigits has got you covered. 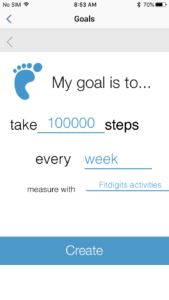 To create a goal, tap Menu > Goals from within the app, or go to my.fitdigits.com and select Goals from the main navigation. You can set weekly, monthly or annual goals based on distance, duration, steps, calorie burn, or weight. To set a distance goal based on a workout type, select the Distance option on the set goal menu. Enter in the number of miles (or KM if you are set in Metric units) you would like to travel over the given time frame. Next, select the workout type with which you would like to track distance and the source you would like to use. Click/tap Create. To set up a Duration goal, select the Duration option on the set goal menu. Enter in the total time in minutes that you want to workout. Next, select the workout type you would like to apply for tracking duration. If you want to set a goal for all activity types, select Any Activity. Select the source you would like to use for the goal, and click/tap Create. To set a Steps based goal, select Steps from the set goal menu. 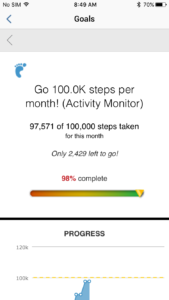 Enter in the number of steps you would like to complete in the given period. Next, select “measure with” options. 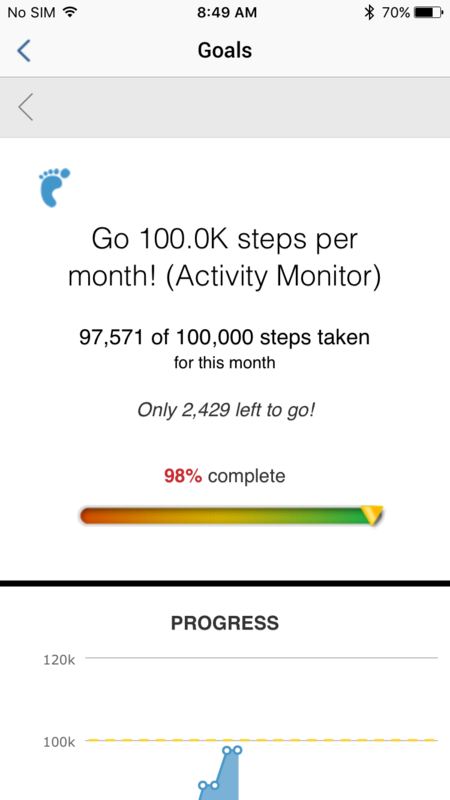 If you are linked with Fitbit or other daily activity provider like Apple Health or Google Fit, you should be able to track this goal with that device. 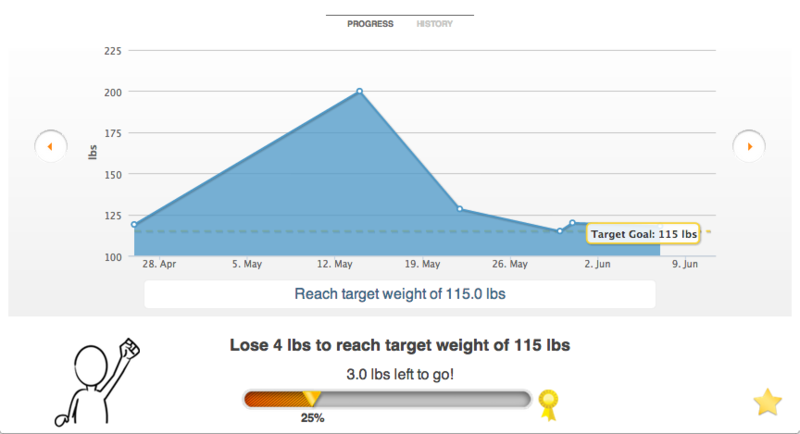 To set a Weight based goal, select Weight on the set goal menu. Enter in your current weight (lbs in U.S. and kg in Metric units) and the weight you would like to reach. You can then opt to lose a number of pounds in the given period based on goal time frame. For instance, if you want to lose 20 pounds, you can create a monthly goal to lose 5 pounds. Your goal is set once you click/tap Create! To set a Calorie based goal based on a workout type, select Caloric Burn on the set goal menu. Enter in the amount of calories you would like to burn in the given time period; for instance, if this is a monthly goal, enter in the amount of calories you would want to burn for the month. Next, select the workout type for which you would like to see calories apply. Click/tap Create to begin! 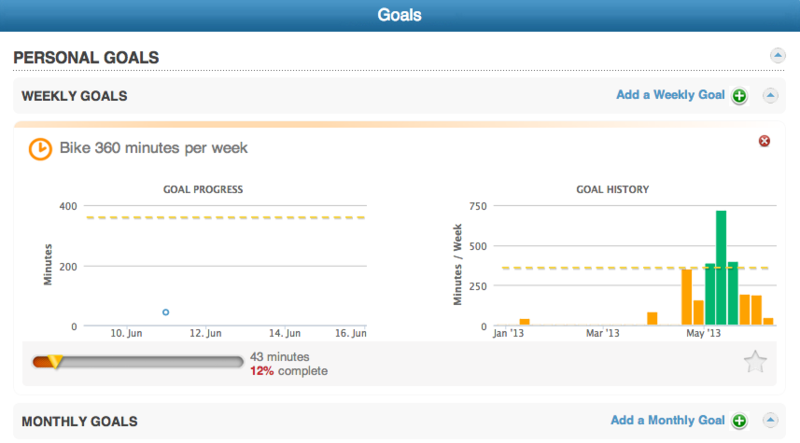 You can see your goal progression on either the online portal or your app. You can see the current time period progress as well as a historical view showing how you did in past weeks/months/years. 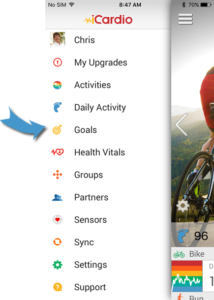 To set a single selected goal as your “Favorite” goal, which will then show up on the top of the main goals listing and in banners and different display areas throughout, on the desktop web, tap into the specific goal then tap the star icon (see below). 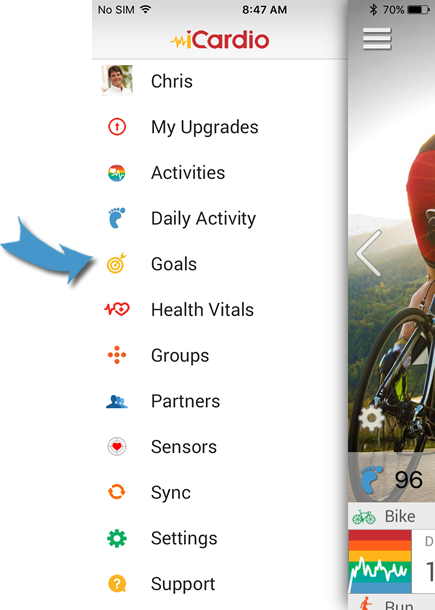 To delete a goal from your goals section, tap into the goal details and at the bottom tap “Remove”. This entry was posted in Tips and How Tos and tagged calories, distance, duration, Fitdigits, goal, goals, MVP, My Fitdigits, Premium, steps, weight by Christopher Means. Bookmark the permalink.